Led by Hay Festival founder Peter Florence, the 2019 Man Booker Prize jury features a pianist, a filmmaker, a broadcaster, and a publisher. 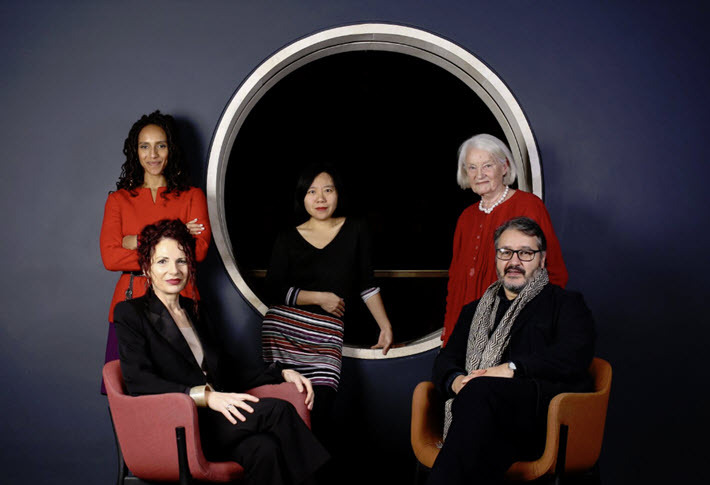 The UK’s Booker Prize Foundation on Tuesday (November 11, London time) has announced the 2019 jury for the Man Booker Prize for Fiction, with the Hay Festival’s Peter Florence as chairman. In her prepared statement for the announcement, the foundation’s literary director, Gaby Wood, is quoted, saying, “The collective brainpower and creative spirit of this year’s panel is stunning, and the judges’ commitment to high quality literature boundless. The coming year’s prize, sponsored by the investment management firm the Man Group, will be selected by this these five jurors from submissions published in the UK between October 1 of this year and September 30. The so-called “Man Booker Dozen” longlist of 12 or 13 books will be announced in July, the shortlist of six books in early September. The winner of the £50,000 prize (US$62,860) will be announced on October at an awards ceremony at London’s Guildhall, with a live broadcast by the BBC. 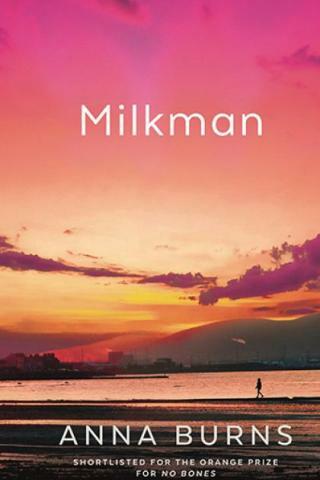 And as for this year’s winner, Anna Burns’ Milkman from Faber & Faber, the book posted what the foundation is describing as the highest volume of sales in the week after its October 16 win selling nearly 19,000 copies and going on to sell more than 350,000 copies since that evening. In addition, a new work from an author who has been shortlisted for the Booker at any time in the past is automatically eligible. Jurors are permitted to “call in” books annually, in addition to submissions, in two ways. First, a publishing house, in addition to its submissions, can put forward a list of up to five titles for call-in consideration with an editor’s rationale included. Jurors are to call in at least eight titles and no more than 12 from these. Second, jurors can simply make call-ins of their own of books as long as they’re published within the prize cycle’s dates. Peter Florence established Hay Festival in 1987 around his mother’s kitchen table, with his parents and a few friends. Over the past 32 years, Hay has attracted more than 5 million people to events in 15 countries. Florence was awarded a CBE for services to literature and charity in 2018. Liz Calder began her publishing career in 1971 at Gollancz, where she published Salman Rushdie, John Irving, and Angela Carter, before moving to Jonathan Cape in 1979. There, she published two Booker Prize-winning novels, Rushdie’s Midnight’s Children and Anita Brookner’s Hotel du Lac, as well as future Man Booker winner Julian Barnes. In 1986 she became a founding director of Bloomsbury Publishing. Xiaolu Guo’s novels include A Concise Chinese-English Dictionary for Lovers (shortlisted for the Women’s Prize for Fiction), Village of Stone, and I Am China. Her recent memoir Once Upon A Time In The East was shortlisted for the Royal Society of Literature Ondaatje Award, the Folio Prize, and the Costa Award, and won the National Book Critics Circle Award in 2017. Her feature films include How Is Your Fish Today, UFO In Her Eyes, and She, A Chinese. Afua Hirsch is a columnist for The Guardian, writes for magazines including VOGUE, Time and National Geographic, and presents live debates and documentaries for the BBC, Channel 4, and international networks. She has worked in development in West Africa, in international human rights law at the bar, as a legal correspondent and West Africa correspondent for The Guardian and as social affairs editor for Sky News. Her bestselling book Brit(ish): On Race, Identity and Belonging, which won the Royal Society of Literature Jerwood Prize, was published in 2018 by Jonathan Cape. Joanna MacGregor, known to many for her readings of Bach, has performed in more than 80 countries, made more than 40 recordings, and appeared with many eminent conductors and orchestras–Pierre Boulez, Simon Rattle, the London Symphony and Berlin Symphony, and more. She founded her own record label in 1998, and was appointed OBE in the Queen’s Jubilee Honors in 2012. Her radio play Memoirs of an Amnesiac about Erik Satie was broadcast by the BBC in 1990 with Jim Broadbent and was nominated for a Prix Italia. Her series of piano instruction books for kids is called Piano World (Faber Music, 2001). Her recent compositions include Lute Songs (2008, after Dowland) and the 2010 Lost Highway. More from Publishing Perspectives on the Man Booker Prize for Fiction is here, more on the Hay Festival is here, and more on book awards in general is here. Can we also look for books on Reality/Truth. My debut book titled “2-in-1 Biography of God Almighty & Deity Brahma” published by Partridge Publications (sister concern of Penguin Publication) is a book of light/book of peace. It can be introduced as virtual education to the children of this world. Raja Yog is the true word for the virtual education that every human soul requires for virtual enlightenment. My book is based on more than 14 years of experience for studying Raja Yog at the Godly University and there is only one teacher to teach Raja Yog and that is none other than God (Father) Himself.